At Peter's I behest, a great Sestroretsk city was founded almost three centuries ago. Fanned by glory of the well-known armourers and toolmakers, poets and artists, scientists and outstanding sportsmen, it added a lot of splendid pages to Russian history. Sestroretsk chronicles are unique, as people who live here are also unique in their beauty. Thanks to diligence and hospitality of the local inhabitants adoring the city and working for its prosperity, Sestroretsk develops constantly, confidently looks ahead and is always glad to meet new visitors. 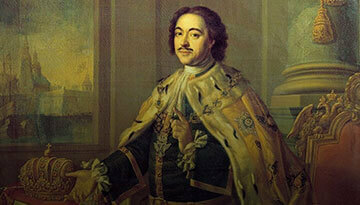 The town of Sestroretsk was founded in 1714 by Peter the First. 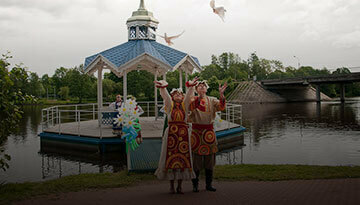 It`s located on the shore of the Gulf of Finland, 32 kilometers north-west of the center of St. Petersburg. Filled with the glory of famous gunsmiths and worker-toolmakers, poets and artists, scientists and outstanding athletes, Sestroretsk is one of the largest resorts of Russia today.